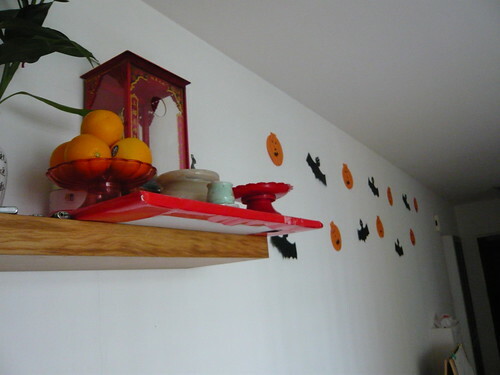 Faith wanted to decorate the house for Halloween and we make cut outs of Jack-O-Lanterns and bats to paste on the wall. It was only after, we put everything up that we realised something wasn't right. Yeah. Jack-O-Laterns, bats and KuanYin Goddess. Aiyoh.... that was so wrong! Haha this is so funny... Her idea? well, at least she didn't stick them right around the guanyin. heh, but yea, very cute! cowboycaleb: Yes. B1 do know what B2 is thinking.